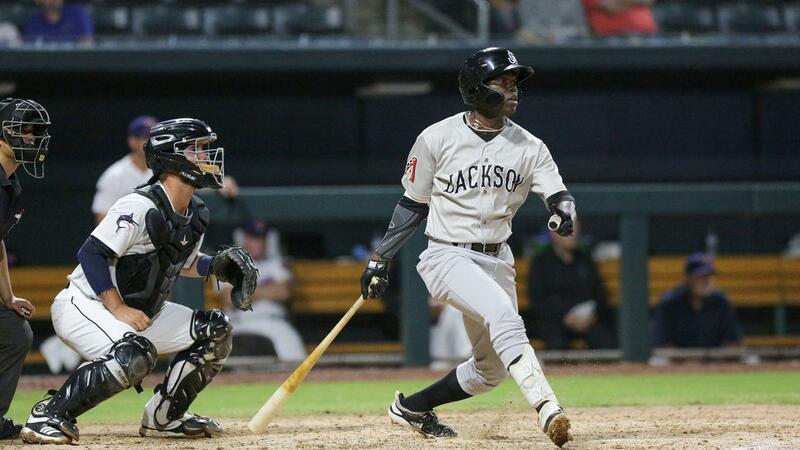 Jackson, Tenn. - The Jackson Generals, the Double-A affiliate of Major League Baseball's Arizona Diamondbacks, rallied for a 4-2 comeback victory on Wednesday, winning their home opener against the Chattanooga Lookouts at The Ballpark at Jackson. The Generals (3-3) improved to 2-0 in series victories this season and 2-0 when scoring four runs or more. Right-hander Bo Takahashi (1-0, 3.60 ERA) worked five innings for the Generals, striking out seven hitters without giving up a walk. Takahashi was bitten twice by the longball, giving up solo shots to Chattanooga's Gavin LaValley and Ibandel Isabel in the second and fourth innings. Except for the homers, Takahashi stayed above the fray, pounding the zone with 55 of his 71 pitches going for strikes. In relief, Tyler Mark (H, 1), Ryan Atkinson (H, 1) and Michael Kohn (S, 1) produced shutdown frames, extending the bullpen's scoreless innings streak to 14.0. At the plate, the Generals drew power from infielders Pavin Smith and Jazz Chisholm. Both players launched their first Double-A homeruns in consecutive innings, with Chisholm snapping an 0-for-16 start to the year with an opposite field two-run shot in the fourth. Smith followed by cranking his first jack out to right field in the fifth, another two-run bomb that put the Generals ahead to stay. Jackson finished 1-for-6 with men in scoring position, but their timely hits and bit of defense helped them stave off the visitors. Right fielder Jeffrey Baez got a critical out to end the fourth inning, gunning down TJ Friedl at third base on a relay through Galli Cribbs from the right field corner.